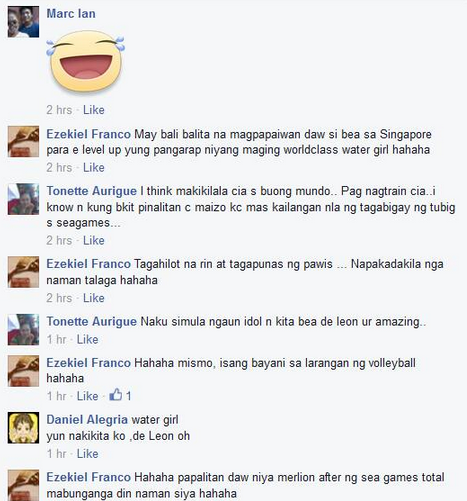 Bea de Leon Called "Water Girl" By Her Haters: Read it Here! FB Scoop: The middle blocker of the Ateneo de Manila University Lady Eagles, Bea de Leon, received another dose of harsh comments from her haters online days before the start of the SEA Games 2015 Volleyball Tournament. They still can't accept that she made it to the final team line-up.